The company's production manager, Tor Einar Hanssen, said it had sold about 110 in the past year and a half, making a small profit on the cars, most of which had been used for a few years by U.S. leasing companies. "They're surprisingly good in cold weather," he said. Norway has the world's highest rate of electric car ownership in the world, partly thanks to long-term perks such as free or discounted road tolls, parking and charging points, which boost the appeal of second hand models unwanted elsewhere. The issue has a bigger impact in some European countries, which may be over-estimating the greenness of their domestic car fleets due to exports to Norway, where top plug-in cars include Nissan Leafs, Volkswagens , BMW and Tesla. "We're getting a certain amount of vehicle electrification for free, paid by other countries," said Lasse Fridstroem, a senior research economist at the Norwegian Center for Transport Research. "But perhaps it won't last," he said of the used e-car imports. He and some car dealers say demand for electric cars elsewhere in Europe is picking up, and that Norway could swing to be a net exporter of used electric cars in coming years. To tackle this issue, from January 2019, sales of new cars in Norway are included in a broader EU calculation of the greenness of each manufacturer's European-wide car fleets, a target the carmaker must meet to avoid large penalties. This could reduce Norway's demand for imports but may also mean its EU neighbors record fewer sales. Trod Sandven, a Jaguar Land Rover dealer in Bergen in west Norway, bought 250 new Kia Soul cars last year in countries including Germany. After registering them for a day so that they counted towards manufacturers' green goals under the EU rules, he exported them undriven to Norway to sell as "second hand". "They're brand new, with the plastic still on the seats. The only thing we do is the paperwork," said Sandven. He said he received no German subsidies, since that would require owning the cars for several months in Germany. "Now it’s changing again, now we are exporting cars to other countries," he said. 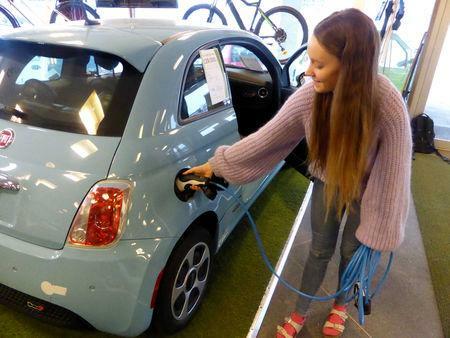 "Norway is crowded with used electric cars and Europe is screaming for electric cars. It's changing every year." 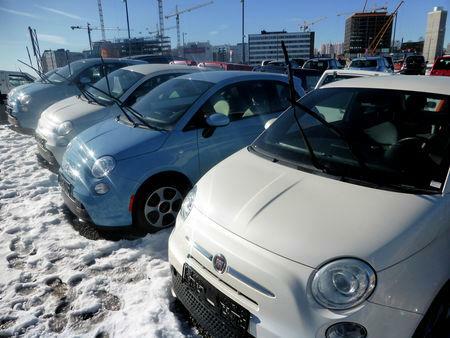 "It is problematic that some of the used electric vehicles, that have been subsidized by Swedish tax payers, are exported," said Jakob Lundgren, spokesman for Sweden's Environment Minister Isabella Lovin. With just five million people, Norway bought 46,143 new battery electric cars in 2018, making it the biggest market in Europe ahead of Germany with 36,216 and France on 31,095, according to the European Automobile Manufacturers' Association. "Norway has become a magnet for the rest of Europe to ship used battery electric vehicles," Matthew Harrison, executive vice president Toyota Motor Europe, said at the Geneva motor show this month. "Frankly there is no used-car demand for battery electric vehicles" elsewhere in Europe, he said.